Ches-Mont Carpet One is flooring store that has been serving their community since 1972. They mainly communicated with their customers through select print ads and billboards. In the recent years their local competition increased and the number of new customers walking through their door decreased. They realized they could no longer neglect their online presence. 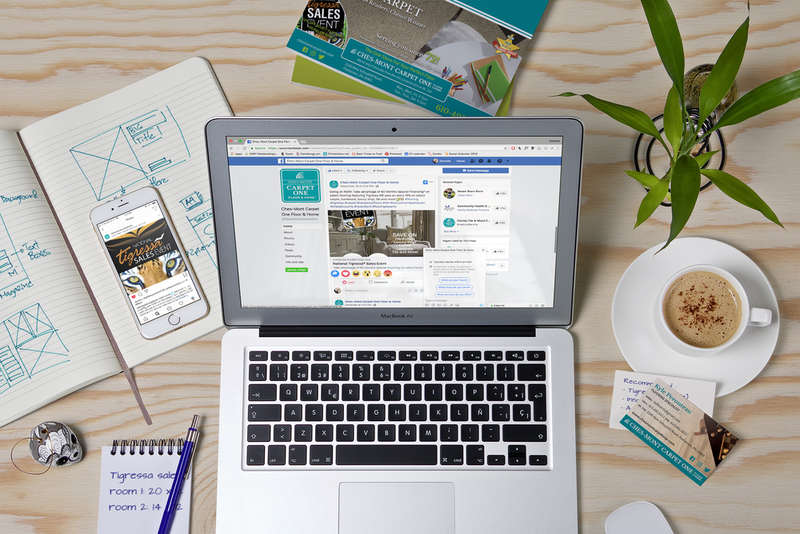 I was hired as their social media and brand director to help them engage with their community and attract new customers. 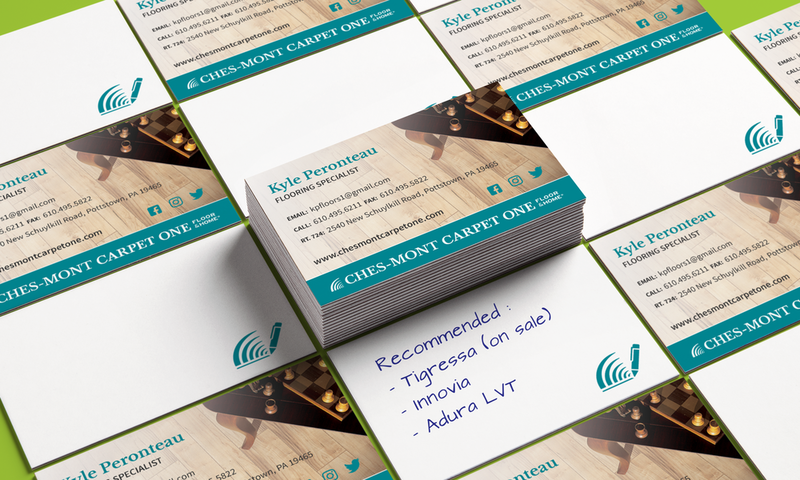 Ches-Mont Carpet One needed to build trust with customers by being consistent with their messaging across all platforms. This included a complete rebrand on their website, social media, business cards, and print ads. 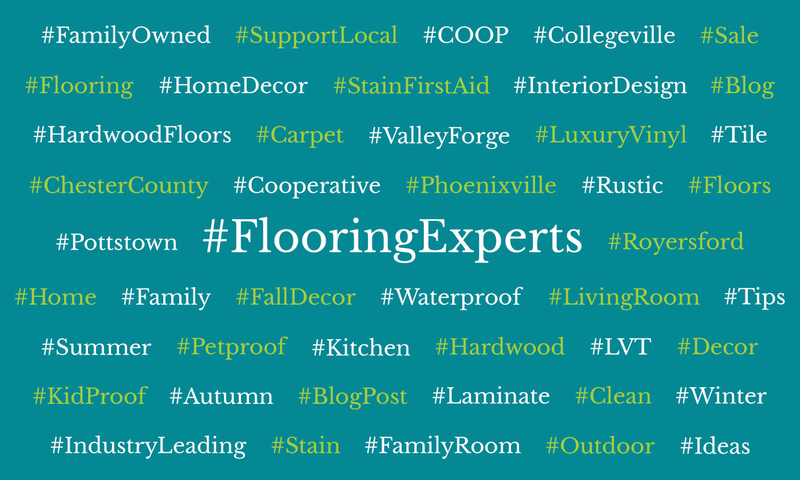 Blog articles and store promotions linking social media to the company website all focused on flooring and home care expertise. 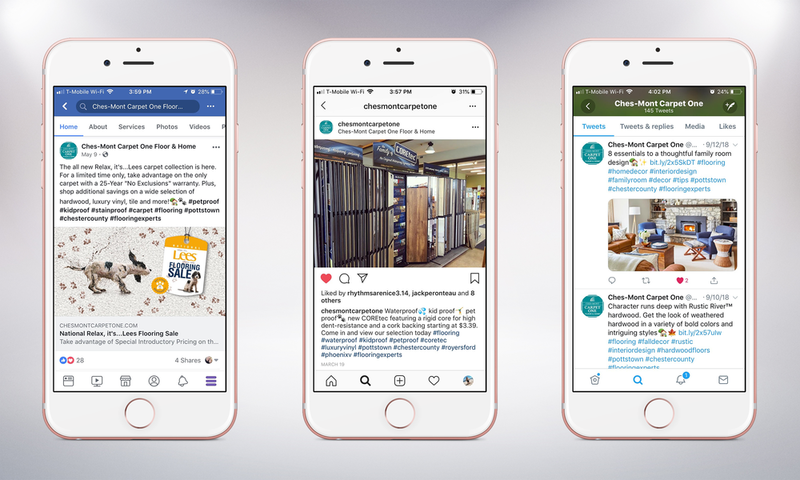 Utilizing relevant hashtags and boosting posts to targeted demographics created more reach to new customers online. Effort was also put into helping the sales team communicate better with their customers. Many questions the sales team were taking their valuable time to answer had to do with the customer being confused on how to buy flooring. I designed an infographic that clearly explains the flooring buying process in eight steps so customers can know exactly what to expect. And also improving the sales team’s ability to focus on more important tasks. 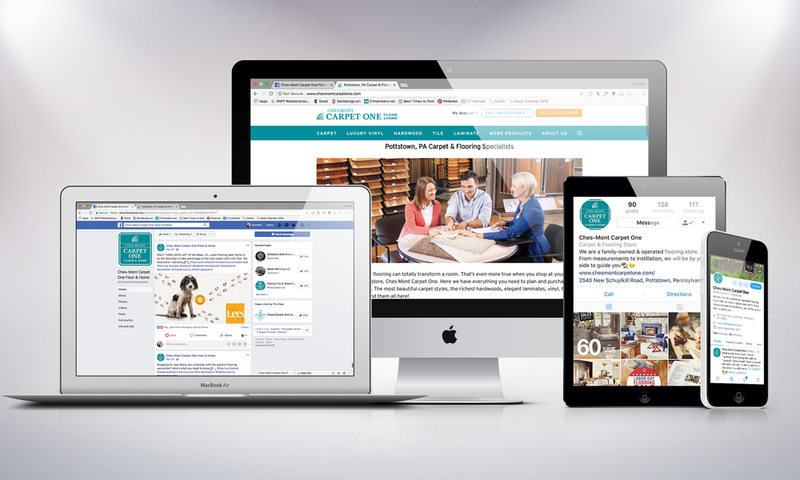 Engagement within their community improved and gave the company a more professional appeal. With the consistent outreach to bring in new customers, the sales side of the business were able to focus more on their jobs. Insight into what was bringing customers in or out was shown and campaign strategies were refined. Currently, to help generate more traffic and work with Facebook’s algorithm, video advertising campaigns are being worked on.